In a previous post I talked about good karma. Well, to get good karma you gotta put out good karma. 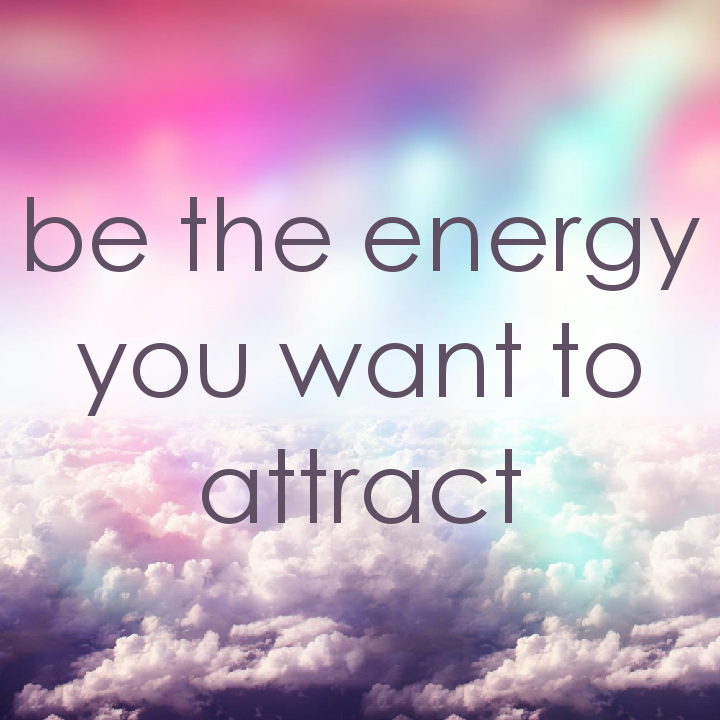 And to do so you need to be the energy you want to attract. Having a mental illness, you always feel bad especially about yourself. You feel distraught, you feel like scum. So you carry that energy with you. you carry that resentment and you carry all of that doubt. And when you carry all of that with you everywhere you go, you pass it along to others. Now I don’t know about you. But I am extremely empathetic. I feel the emotions of those around me. Because of that, I try to push positive emotions outward so that they may feel them too. Yes, I think the least of myself. I am too fat. I talk to much. I’m not pretty. My hair is thinning. I have anger issues. I am impatient. I talk too much. I get distracted to easily. My eyes have bags so wide they need their own zip code. I have so much bad energy about myself. But if I carry that around everywhere I go. Then I will affect those around me. Especially my kids. I do not want my kids to feel like they should look in the mirror and point every single flaw because in my eyes. They’re perfect. Now I know they’re not perfect they have their issues. They have their moments where they use poor judgement and get in trouble. But I don’t want them to feel my energy and it become their own. I hope that makes sense. So I hide this energy. And I know that they say you’re not supposed to bottle things in. But my insecurities. I bottle them up. Stuff them away. And I push out positive energy. I push out strong energy. I push out empowerment. Because I that is the energy I really want my inner self to feel. That is the energy I want others to feel. Be the energy you want to attract. Be the energy your inner child needs.